Reggae and hip-hop stars Damian Marley and Nas are collaborating to record and produce an album together. Marley and Nas joined forces a couple years ago for their hit “Road to Zion”, and the track went so well they decided to collaborate and record an album together. The album, titled “Distant Relatives,” combines Marley’s dub-rock style and flawless freestyles with the flow Nas has bought to the table for years. “Distant Relatives” traces Nas and Marley’s roots back to Africa and they are trying to bring awareness to all of the underlying issues and unrest that take place on the continent. All proceeds of the album will go towards building a school in Congo, so that the poverty-stricken children of Africa can get an education. Nas and Marley are extremely excited for the album and have been taking their time recording so it will “epic” and have an impact on their Africa project and the music industry as a whole. “Distant Relatives” release date has been pushed back a couple of times, but the duo released the track listing and said that the album is set to hit the stores April 20. 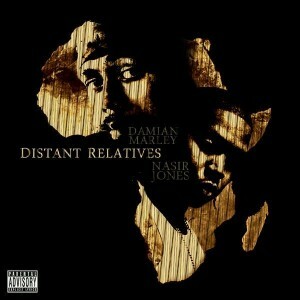 “Distant Relatives” should be an awesome album, and anyone who is a fan of Marley and/or Nas should check their Myspace for more details.